Christmas can be daunting for those hosting the Christmas soirees! But don’t fret! 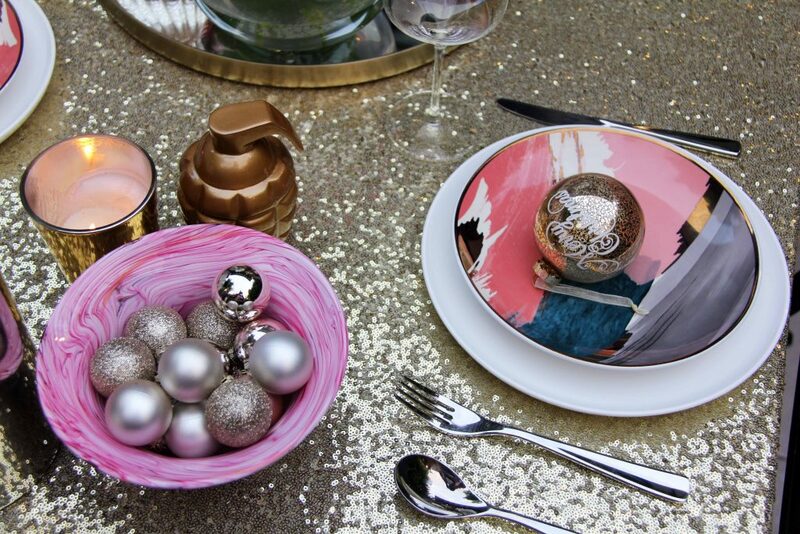 Our 4 expert tips for styling your Christmas dining table will have your guest in awe. Select a strong statement piece for the centre of your table to add impact and create a focal point. The right centerpiece will tie the overall look of your decorating together. 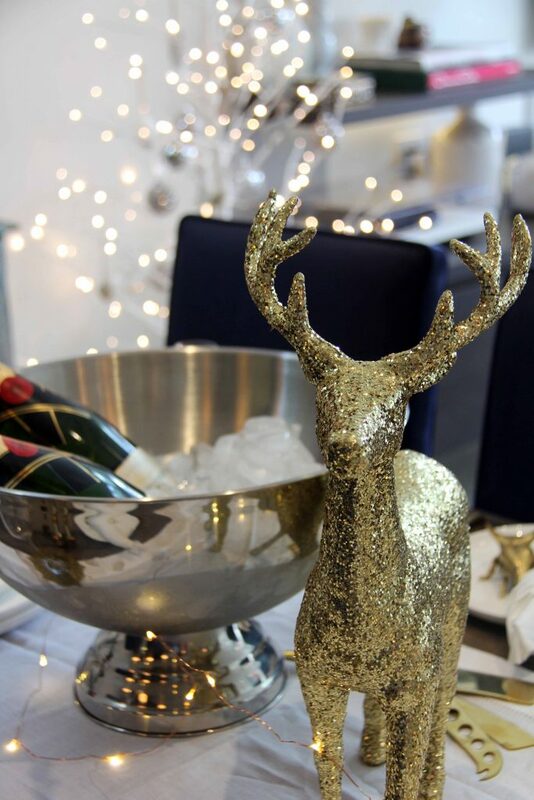 Use a large Christmas ornament like a reindeer or sculptural piece for an easy pop of impact on the table.  Think large scale and bold for maximum impact. Or create your own centrepiece by decorating a bare tree branch with Christmas ornaments and small baubles for something a bit different. If you’re looking for a DIY project you could even spray paint the branch gold or silver first. 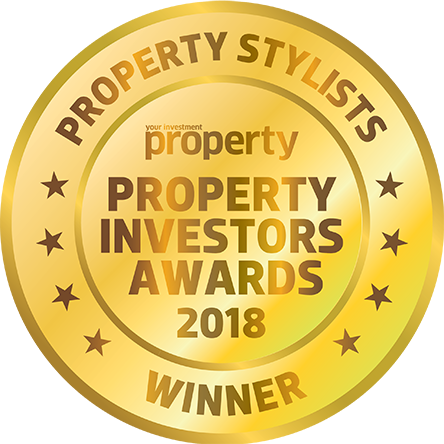 Alternatively, use items you already have around your home such as a beautiful tray, and place a selection of small metallic bowls in various sizes with some large Christmas baubles and a small bouquet of flowers. This grouping of objects will make a lovely focal point with minimum effort required. Drape some small fairy lights through the centre of the table for a bit of sparkle. Alternatively, use items you already have around your home such as a beautiful tray, and place a selection of small metallic bowls in various sizes with some large Christmas baubles and a small bouquet of flowers. This grouping of objects will make a lovely focal point with minimum effort required. Drape some small fairy lights through the centre of the table for a bit of sparkle. A Christmas dining setting wouldn’t be complete without dressing the table with a cloth or fabric. For a more traditional and formal look you could select a simple white linen table runner or full table cloth to give you an effortless, elegant feel. Your tablecloth doesn’t have to be anything expensive you can pick up a lovely piece of fabric from a craft store for just a few dollars and the fabric choices and textures are endless. For a fun and casual approach try a sequined fabric or metallic pop. Once you have your centerpiece and your table cloth arranged you can start creating individual place settings for each guest. Layout your necessities such as plates, cutlery and glassware. Define the look by starting with one individual place setting and then repeat this with the other placings across the table. Instead of a place mat try a larger patterned plate underneath your dining plates. Roll your napkins and secure them with a beautiful napkin holder or go DIY and make your own with some twine or glitter ribbon. 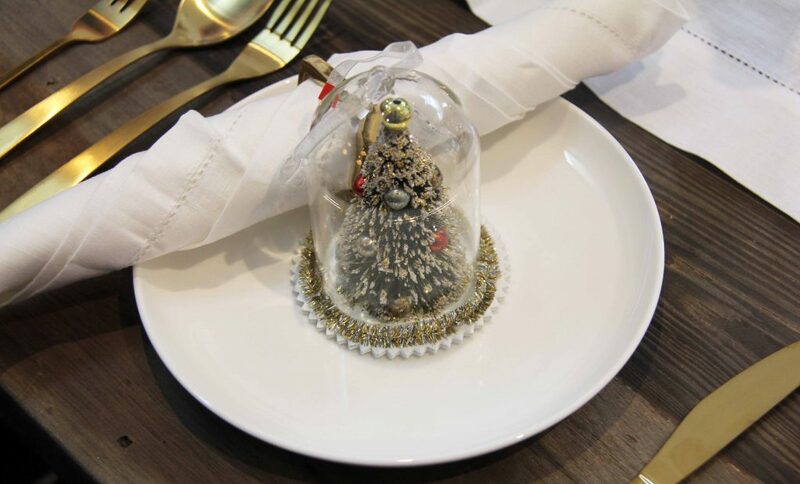 Instead of the traditional Christmas crackers you could place baubles or ornaments around the table. Surprise and delight your guests with name place cards or small handwritten notes at their setting. Think about how you want your guests to feel and the atmosphere you want to create on Christmas Day. If this a casual laid back affair? Do you want to entice fun? Or do you want a more formal dining experience? A traditionalist might select white base and introduce pops of red and green colour throughout. A more modern approach may opt for one metallic, such as gold or silver, and continue this look throughout. For a laid back and fun atmosphere opt for non-traditional Christmas colours such as bright pink and yellow or blues and greens for a coastal Aussie Christmas vibe. Use what’s on trend and try to incorporate accessories you already own rather than buying new things and carry this look through to your tree as well! 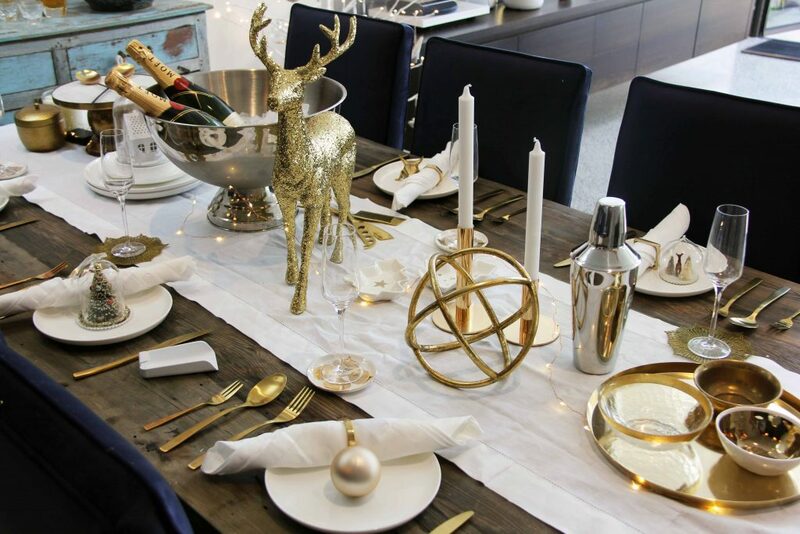 Add some sophistication with gold cutlery rather than, the traditional silver to upscale your Christmas dinner party and give the whole meal a polished and elegant feel. 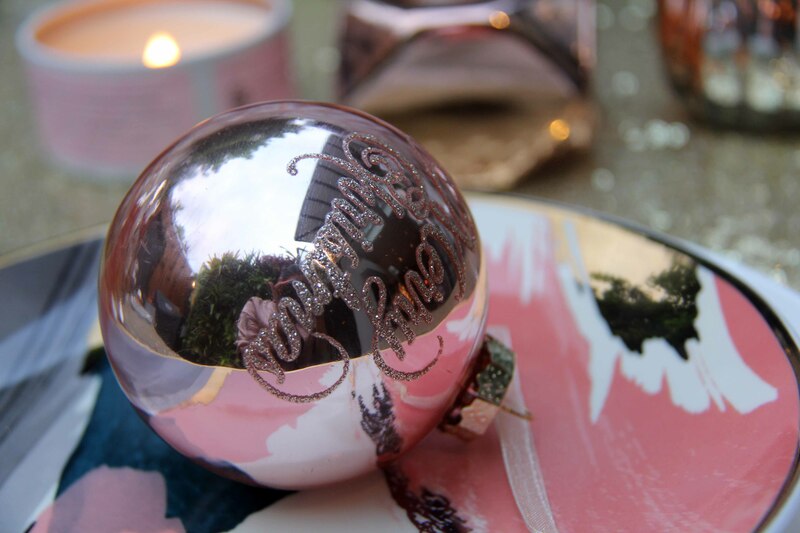 What sort of approach for your Christmas styling are you going to take this year? Tell us below, we would love to hear from you!